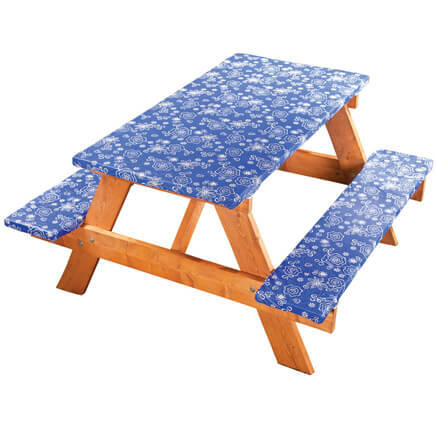 To cover an outside picnic table. On you catalog, pg. 17, price is $10.99, not $12.99. Please correct your amount. 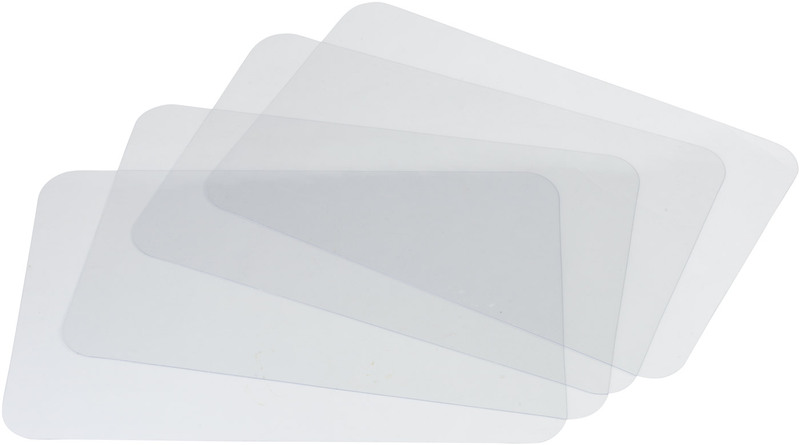 I have purchased these in the past and they hold up very well and protect my wood table. i had one before and liked it. wears and fits well. It looked good and I needed a cover for my wood table. I've been using these for the past few years. They are a great fit, last very well and beleive me it gets a lot of wear with the Kids and family. Love the wood grain, it's actually looks just like my table, but protected. I chose this because I needed to protect my maple table. Great table cloth. Don't even look like a table cloth! Have had 2 of them and they look good. my grandchild pulls my tablecloth. I ordered one a year ago. Same color as my table. had them before and liked them. This is the 4th tablecloth like this i have purchased from you, I like the way it fits the table and i have had this one for about 2 years. This table cloth covers my dining room table very well and it looks like real wood. It is easy to clean and no more scratches on my dining room table by the kids!!!! I love this product!!! Third time purchasing these table cloths! They hold up incredibly in busy social environments!! Love them! Great protection for my solid oak table!! Wanted a choice of which one to use. I have a large oak table that the finish is needing redone so this will be great until I can get the husband to add to the round to it list! Thought it protect the wood on my table. We have an old 42 in kitchen table that has scratches on it and I spilled a little fingernail poilsh remover on it and a drop or 2 of super glue. Can't afford new table right now so I thought this would be the perfest alternative. And the fleece lined leggings are perfect for Georgia weather. I have 3 pair at the moment, two on backorder and this pair will give me one of every color. Can't wait to get them. Thank you. To protect my wood table during everyday use. These table covers are the best I have found to protect my beautiful wood table without losing the beauty of the wood grain being covered by a table cloth. It fits my table and looks good. you have to put them in the dryer for a minute but looks good. Had one and it fit and worked perfect for my table. I have used these table covers for over 35 years. They last a long time and it protects the wood finish of the table top. Thank you for such a good product and the choices of color are great. I have several to change with the seasons. I liked my previous table cloth and wanted a replacement that matched my new flooring and cupboards. I am needing to cover an old round card table. The picture looks like what I needed. My table is round 42 by 42 ! What size would you suggest ? BEST ANSWER: Thank you for your question. 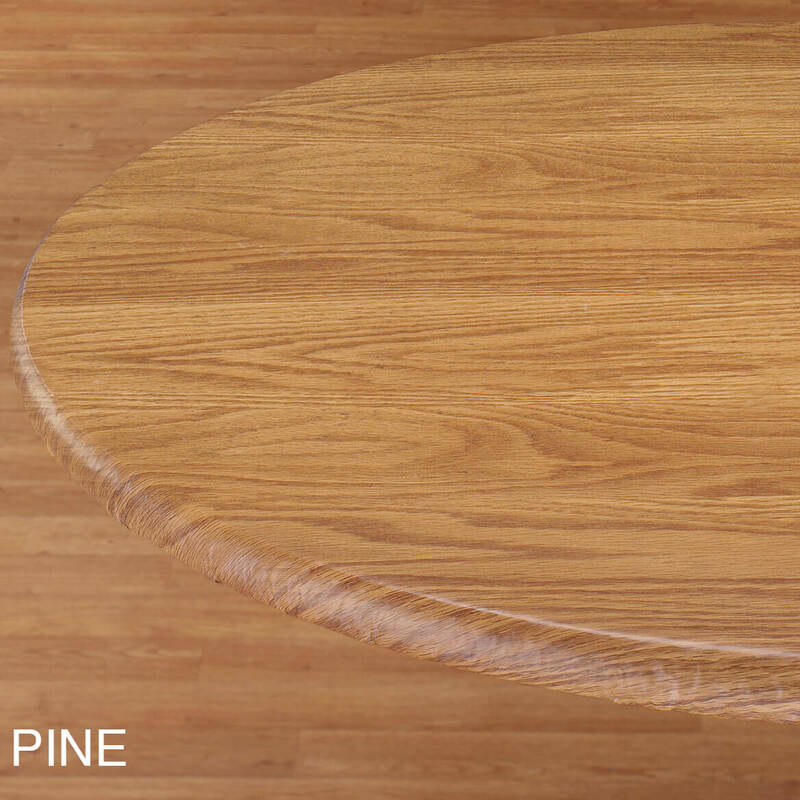 The 40"-44" diameter round table cover would be the cover that would fit a 42" round table the best. We hope this information will be of help to you. If you have a round table then the 40 to 44 would fit. how do I submit my order for this table cover now? BEST ANSWER: Thank you for your question. You will need to choose the color and size of the table cover, add to your cart, complete payment information and submit your order. We hope this information will be of help to you. my table is a 69 in oval will this fit? BEST ANSWER: Thank you for your question. Because we only have a 42" x 68" Oval/Oblong, this will not fit. It will be too small. 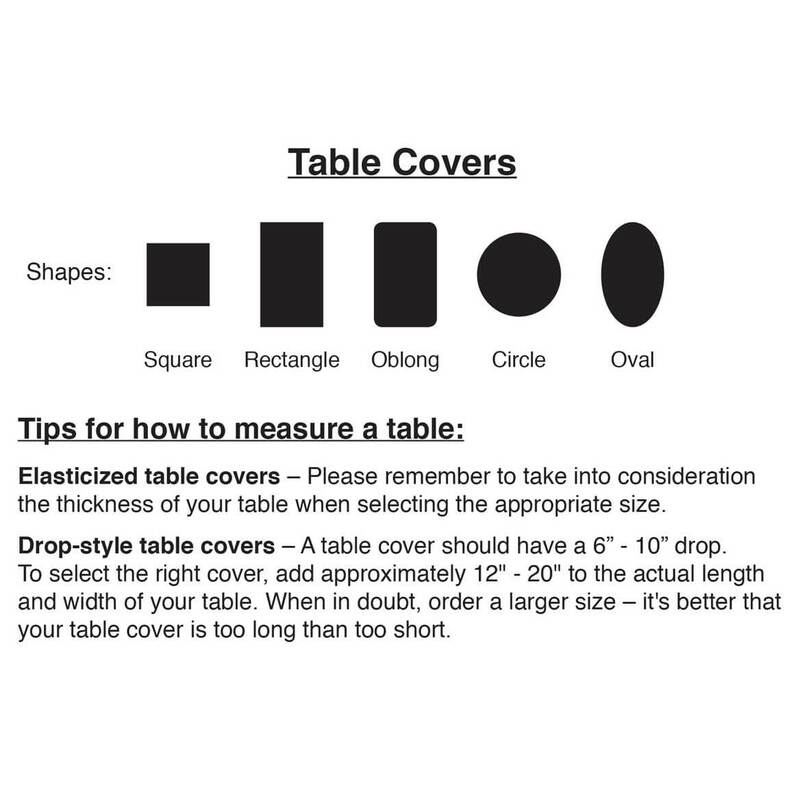 Please note, thickness of the table must be taken in consideration as well when purchasing a table cover. We hope this information will be of help to you. 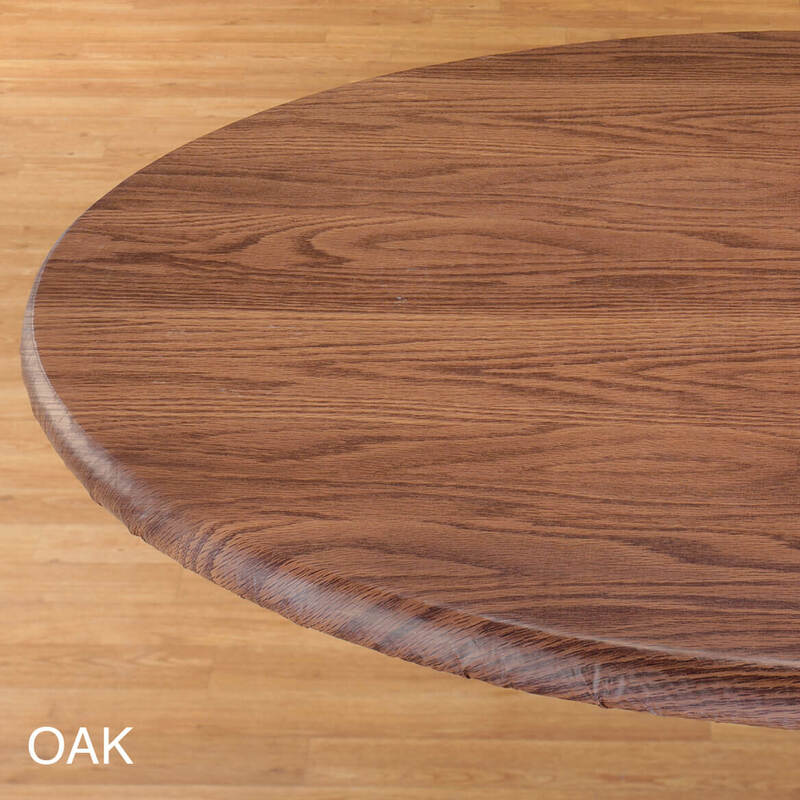 I have an Oak Oval Table, 42 x 54 1" thick. I would love to purchase #344622 but I'm afraid it's too big. Any suggestions? or do you custom make any? BEST ANSWER: The one I purchased is also too big. It bunches around the corners and is not a tight, smooth fit. I've learned to live with it for everyday use. I remove the covering when the table will be more on display. Thank you for your question. 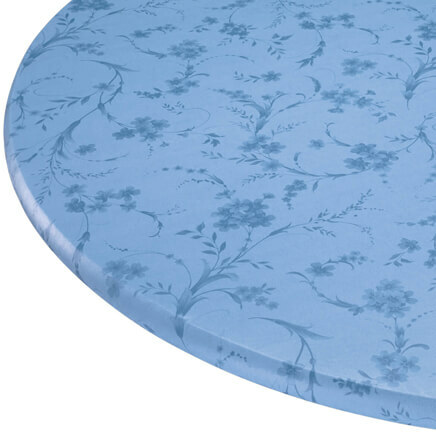 The oval table cover we offer may be too big for your table, we do not make customer table covers. We hope this information will be of help to you. 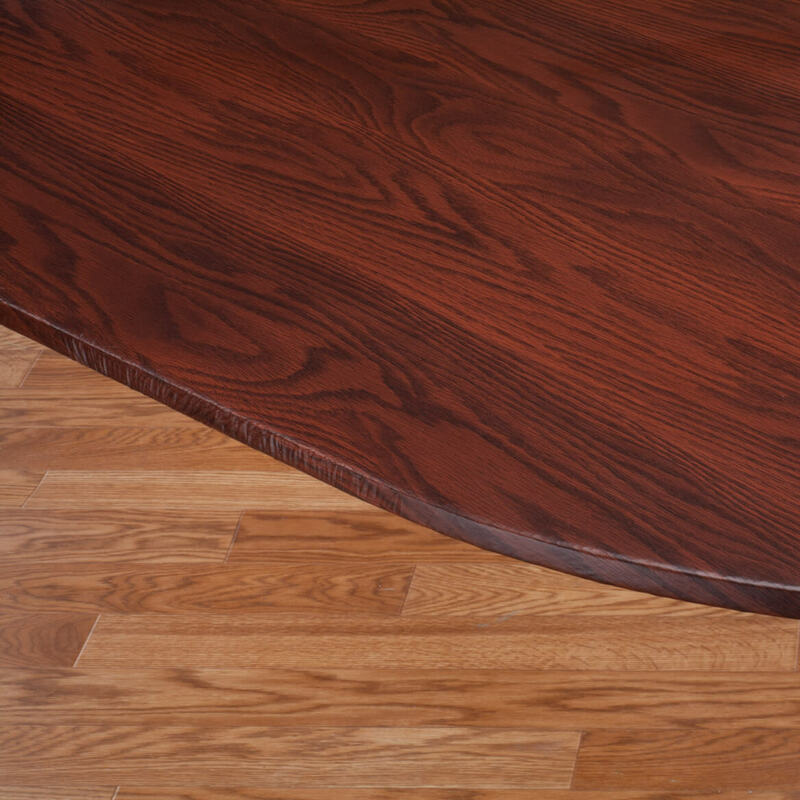 My oval table is 42" x 60". 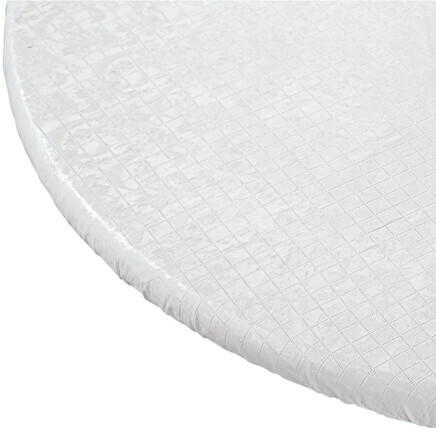 Would your oval fitted elastic tablecloth fit? BEST ANSWER: Thank you for your question. Unfortunately no the table cover would a little too large for the table. We hope this information will be of help to you. Do you have a 60" round fitted tablecloth? BEST ANSWER: Thank you for your question. We unforatunately do not have a 60" round cover. We hope this information will be of help to you. I have a table size of 36" by 60" and want an elasticized table cloth which size do i buy? BEST ANSWER: Thank you for your question. We do not have any table covers that would fit that size table. We hope this information will be of help to you. I need two elasticized table cloths one tp fit a 48" ROUND table and a 35"x51" oblong table. Do you have anything with those dimensions? BEST ANSWER: Thank you for your question. The only sizes available are the ones listed on the website. The 45- 56 inch will fit, however, depending on the thickness of the table, there may be extra material which will cause it not to fit snug. We do not have an oblong size in the requested size.We hope this information will be of help to you. What is the thickness of the "classic vinyl" that this table cloth is made from? BEST ANSWER: Thank you for your question. The thickness gauge is 3 for the table cover. We hope this information will be of help to you. 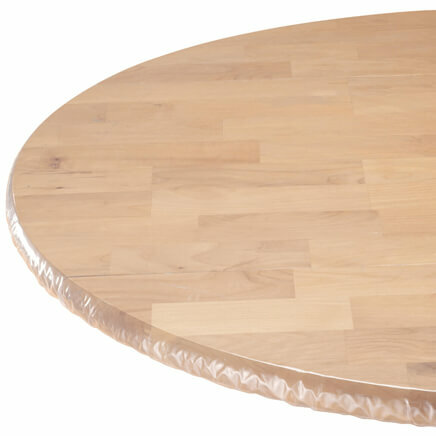 I am looking for an oval elasticized table cloth such as item #344622, an oak wood grain fitted table cloth, 48" x 72". Can you help? BEST ANSWER: Thank you for your question. At this time we do not have a 48x72 fitted table cover. We hope this is of help to you. 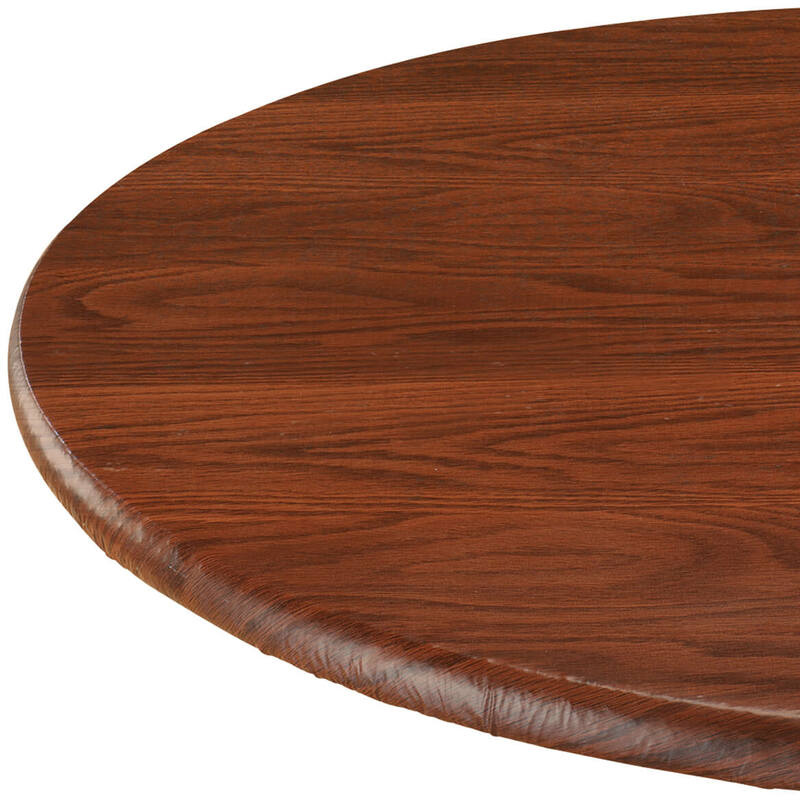 My table is 48" round, what size should I purchase? BEST ANSWER: You would have to get the 45” to 56” in order for it to fit your table. Just a suggestion, I put mine in the dryer on low heat for a few minutes, about 2 or 3 minutes, watch closely to make sure you don’t over heat it, just to take the wrinkles out. It looks great! Protects my original wood table fo everyday wear & tear. You’ll love this table cover! I have a table size of 36" by 54" and want an elasticized table cloth which size do i buy? BEST ANSWER: Thank you for your question. It will depend on the shape of your table. If it is oval the 42"x68" will fit. If it is any other shape besides a round and oval we do not have one that will fit. We hope this information will be of help to you. The elastic in this tablecloth is fairly substantial so I suspect the 60" round tablecloth would work. I want to match the color of my cabinetry. The wood is cherry wood. Should I get the oak or mahogany color? BEST ANSWER: The oak is definitely lighter- like a camel color. The mahogany has a red patina to it. Hope this helps. Cherry is a darker wood so I would go with the mahogany. 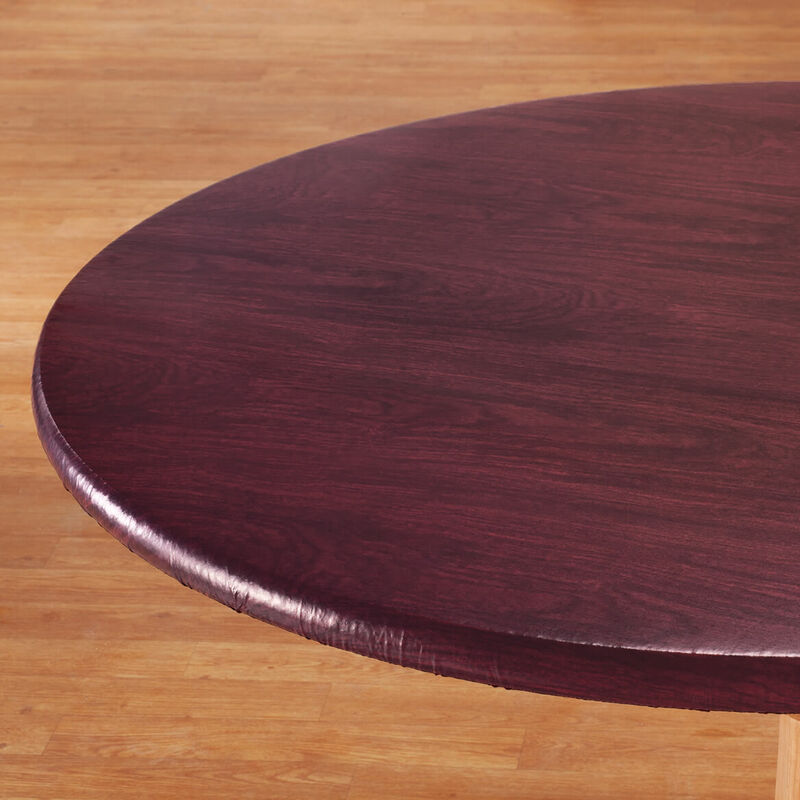 My table is 40" round with sides drop down.I want to know if I can let one side drown with table cloth on it? Thank you for your question. The table cover is made with elastic edges and will bundle up any extra material under the table. We hope this information will be of help to you. I'm looking for a 60" diameter and 4" thick that mean 68" total diameter (round table)? BEST ANSWER: Thank you for your question. We do not have a cover that will fit a 60" round table. We apologize for any inconvenience. Is this too big for 36” round table? BEST ANSWER: My table is closer to 35” in diameter and I buy the tablecloth that says 40 to 44 inch. It works great and the cloth is taunt enough to actually look like a wood grained tabletop. There is just two of us that use the table everyday to eat on and the clothes last us at least three months sometimes longer. How do I measure the table width? Do I start at the very edge where it curves down or just across the top? BEST ANSWER: Thank you for your question. Start at the edge of the table and measure from end to end. We hope this information will be of help to you. BEST ANSWER: Thank you for your question. The 40" will be to big for a 24" table. There will be to much under the table to get a tight fit and it can slip around. We hope this information will be of help to you. I have a 48 x 62 oblong table. Will the woodgrain elasticized table cloth #344622 fit? BEST ANSWER: Thank you for your question. Unfortunately no this table cover is too small to fit that size of table. We hope this information will be of help to you. Which choice matches dark oak? BEST ANSWER: Thank you for your question. Mahogany is the darker color it looks like you are looking for. The oak is the lighter color brown. We hope this information will be of help to you. What will fit a 42" by 42" square pub table? BEST ANSWER: Thank you for your question. Unfortunately not this table cover will not fit that size of table. We hope this information will be of help to you. Does this fit 84in round table? BEST ANSWER: Thank you for your question. Unfortunately no this will not fit an 84" table. We hope this information will be of help to you. I have an octagon table. Will any of these fit? Longest point 68 in. BEST ANSWER: Thank you for your question. Unfortuantely round table covers will not fit an octagon table properly because of the corners. We hope this information will be of help to you. can this tablecloth be used for outside patio table? BEST ANSWER: Thank you for your question. Yes, it can be used outdoors. We hope this information will be of help to you. I have a round glass tabletop; 45" diameter: 3/8" thick. I am concerned that the large 45-56" fitted cover may have too much material for a thin tabletop. 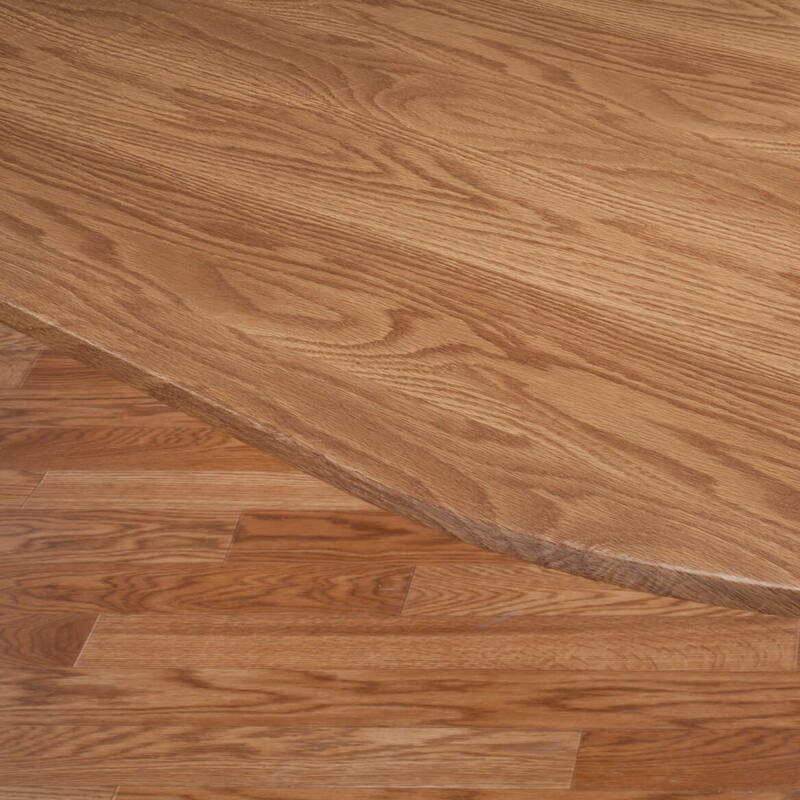 Will the small 40-44" cover "stretch" to fit a thin 45" tabletop? BEST ANSWER: Thank you for your question. The small should fit, there is usually an inch or two extra. We hope this information will be of help to you. Just received my table cover today. How do I get the wrinkles out of it? BEST ANSWER: Thank you for your question. We suggest you put the table cover in the dryer on low setting for about 10 minutes. We hope this information will be of help to you. 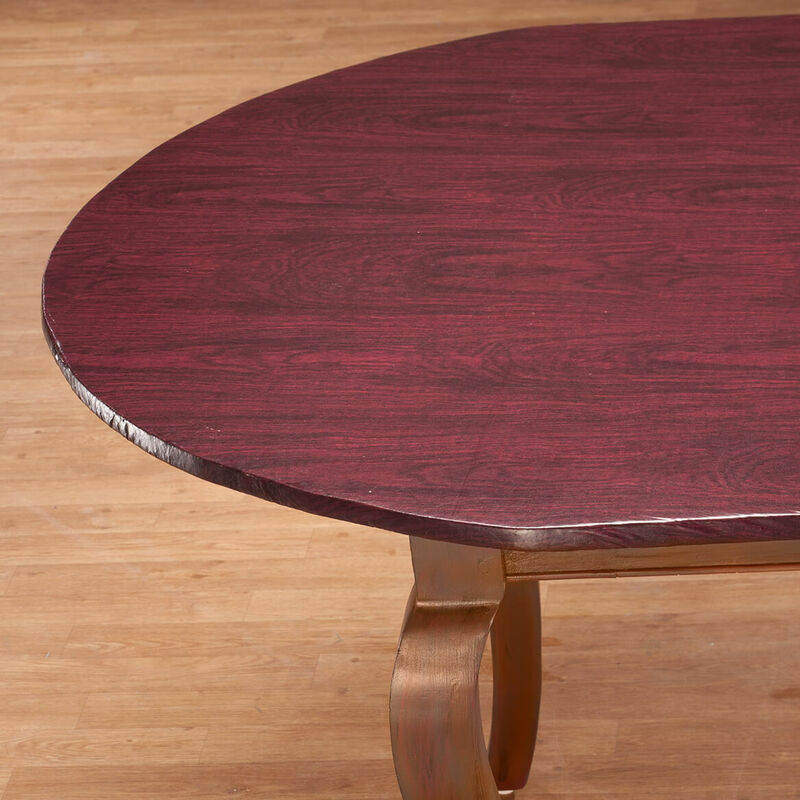 MY OVAL TABLE MEASURES 52 X 72 DO YOU HAVE A FITTED ELASTIC TABLECLOTH THAT WILL FIT? I have a 60" round table will the 54" cover fit? We had a late Christmas and I received the round fitted tablecloth but received wrong print. I received Red Apple print but I would prefer the oak (240) color. How do I exchange them? what size tablecloth should you get for a 60" round table? BEST ANSWER: Thank you for your question. Unfortunately, we do not carry a table cover that will fit a 60 inch round table. We suggest doing a general Google search to see who might. We apologize fro any inconvenience.